Question 1. How well do you understand your customers? For instance, marketing agencies must have a good grasp of their target market. To do this properly, they should go beyond basic target demographics and also delve into psychographics. The combination of demographics and psychographics provide a powerful combination because demographics create an “external” understanding of your customers while psychographics provide an “internal” understanding. Let me put it another way, the former tells you who might buy your product or service, while psychographics helps you understand how they tend to make their decisions. Question 2. How do you know if your ad campaign will succeed? Here’s where good market research can easily pay dividends if you test your new ad before you fully commit to an advertising campaign. For example, you could go to a market research facility to set up a focus group to represent your target audience so you can test ad concepts, radio spots, or marketing channels, the options are nearly endless. Similarly, you could expand your research to include an online panel to reach an even larger test group or create a survey to ask a specific set of questions that you want answered. Often, when research isn’t conducted, a campaign’s effectiveness relies solely on the judgement of the marketing department’s HiPPOS or Highest Paid Persons On Staff. Another thing to consider are positive results from your market research which can give you the support and critical data you need to lobby for even more advertising dollars. Conversely, you could be a hero by helping to prevent an advertising train wreck from happening. Question 3. How do you get accurate feedback about your advertising campaigns? Successful marketing campaigns should have four main steps: research, planning, action, and feedback. All too often, sales performance is used to gauge effectiveness. But there’s more important data to be researched. Do you know, for instance, if your campaign changed how your customers feel about your brand? Were sales driven simply by price or did your campaign make something more profound happen? What are the long term effects on your brand? 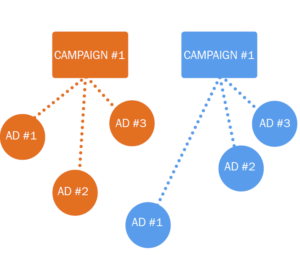 On the other hand, if your campaign wasn’t successful, where did the disconnect happen? Failure to conduct market research to answer these questions and others could result in repeat mistakes, leave blind spots, and jeopardize future advertising efforts. These are only a few examples of how you can incorporate market research into your marketing strategy. Connexion Research has extensive experience helping our clients use our leading edge market research facility in Houston to set up focus groups or conduct online marketing surveys to launch successful marketing campaigns. Contact us if you would like to learn more about our market research services and the different ways we can help.